Beethoven wrote a set of ten incidental musical numbers to accompany Goethe's play Egmont. The subject of the play is the sixteenth century Count of Egmont a powerful politician and soldier who campaigned for the liberation of the Netherlands from Spanish control, and was as a consequence beheaded in the Grand Place in Brussels in 1568. Egmont's death was the spark for to public protests throughout the Netherlands which eventually resulted in their liberation from the Spaniards. 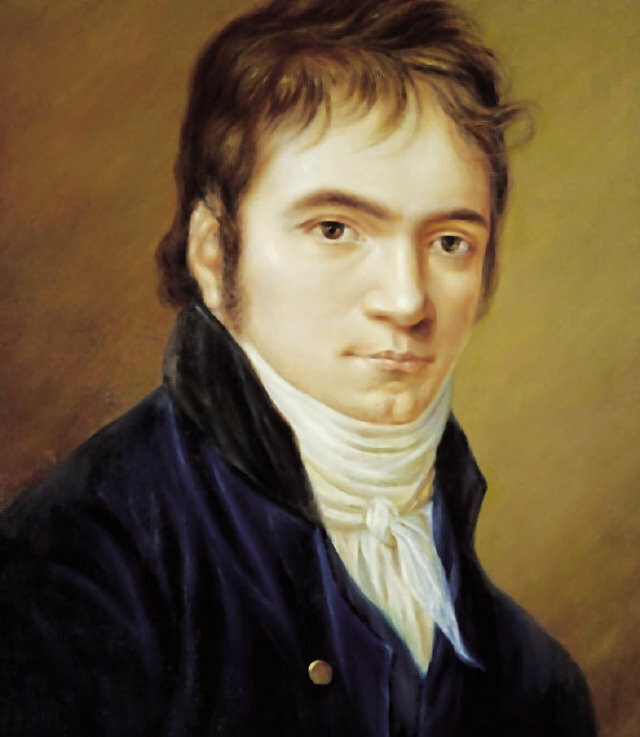 The message of the play stuck a strong chord with Beethoven, who was opposed to the tyranny of the French empire and its expansion over Europe. He wrote a heroic piece about the struggle against oppression and the eventual triumph of liberty. Like the fifth symphony, composed two years earlier, Beethoven creates a journey from darkness into light. The overture opens with a short slow sombre introduction, which moves into a stormy minor key allegro describing the struggle against oppression. It is turbulent music, full of dramatic passion, ceaselessly searching without rest and leading towards the moment of of Egmont's execution which is vividly portrayed. There is then a short mournful chorale before the key changes to the major and the music takes on a triumphant character culminating in a blazing set of F major chords crowned by the shrill piccolo. The music was immediately successful and the overture has remained a popular concert piece ever since. Goethe himself declared that Beethoven had expressed his intentions with "a remarkable genius". Beethoven's Egmont Overture was performed by the Portobello orchestra on the 2nd March 2013, conducted by Matthew Rogers.